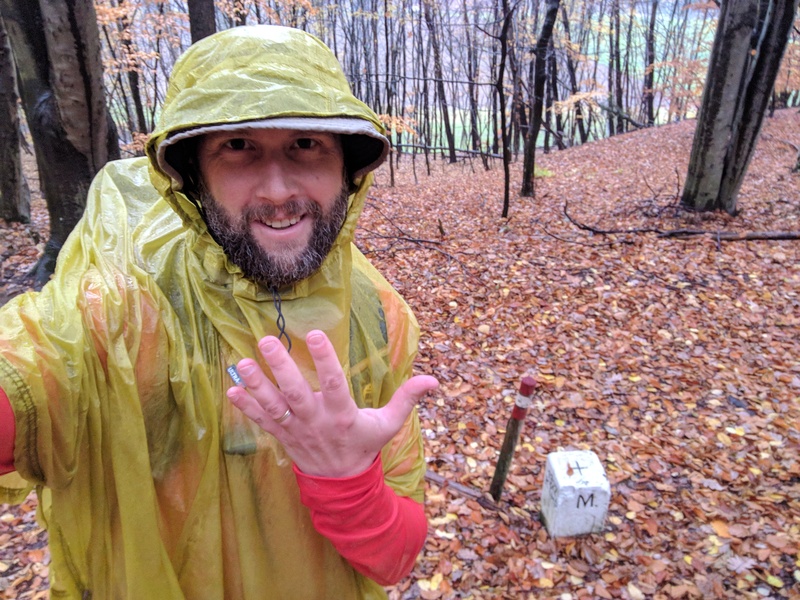 Coming off a rest day, I left the hills of Austria and crossed the border into Hungary, marking the completion of the fifth country. It rained all day, which made the entrance a bit dreary. The border was just a small concrete marker in the forest about 4km from the town of Koszeg. 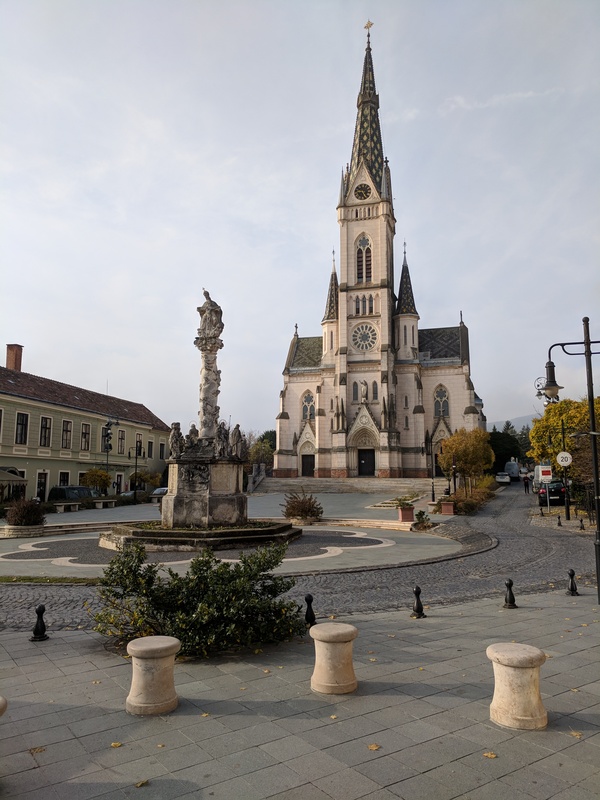 Koszeg was quite nice, though I had to wait until the next morning to have a proper look around because of the rain and the shortness of the days. 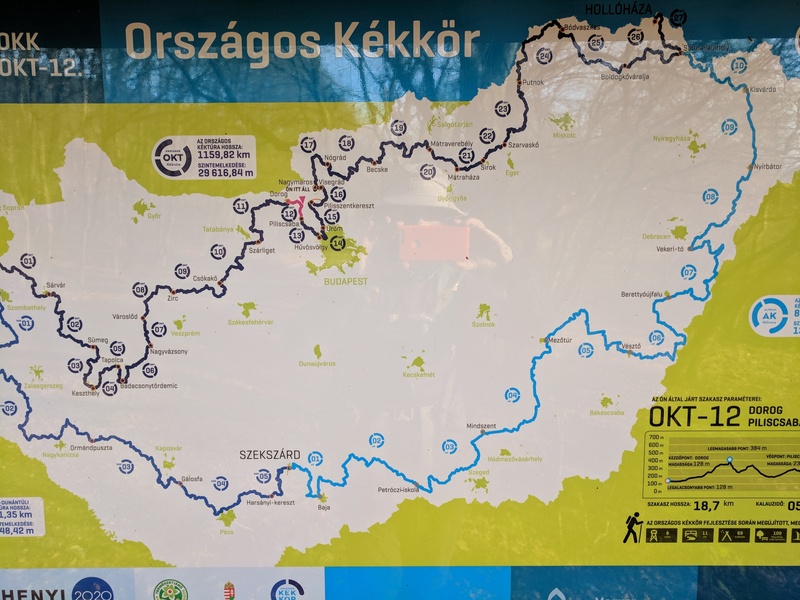 The Hungarian portion of the E4 follows the National Blue Trail, which makes a big loop around the entire country in three parts. The National Blue Trail is one of the oldest long distance walking paths in Europe. 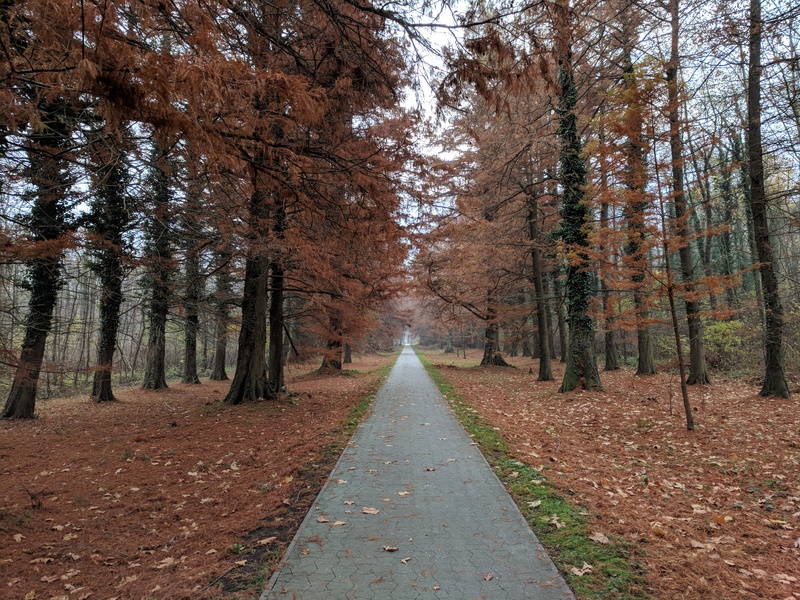 Hungary is really a change from the last few months, and it took some getting used to. First, Hungarian is an amazingly difficult language to pick up. Luckily, some people speak German and English, which was enough to get by. Second, the Hungarian economy is not as strong as the last few countries that I have crossed. Many of the villages are modest, with fewer shops and resources. Lastly, the number of barking dogs in Hungary is through the roof. Spain is known to have a lot of barking dogs, but Hungary trumps Spain by far in that department. When walking down the sidewalk, it is not uncommon for every second house to have a barking (and usually large) dog. While I try to drown the barking with music/podcasts, there is always that uneasiness about whether the gate has been left ajar. I find myself looking over my shoulder often, to make sure there are no dogs running after me. I did get attacked from behind by a dog, but it was a cute little boxer puppy that was just playing around. Hope it stays that way. 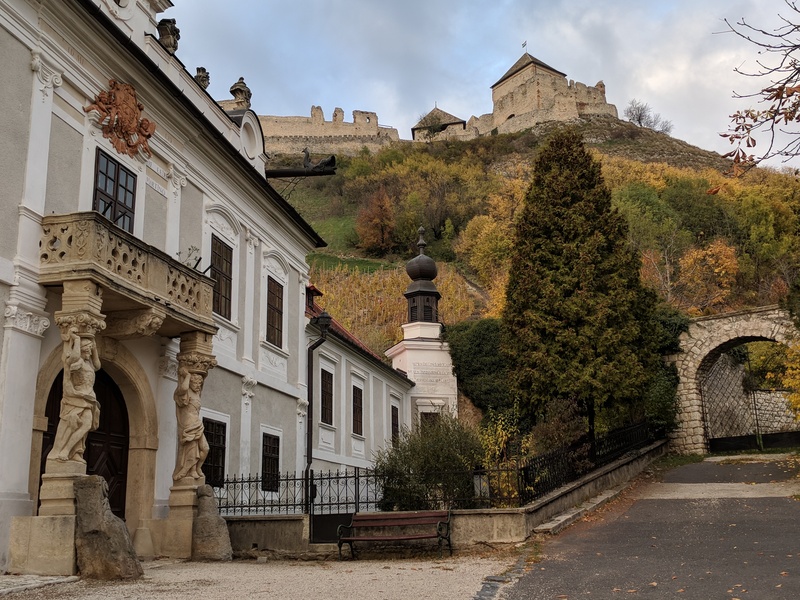 The first few days out of Koszeg were challenging, but not for the reasons that you would expect. The landscape was very flat, and it included a mixture of forest and farmland. With few spectacular sights, there was little to get excited about. 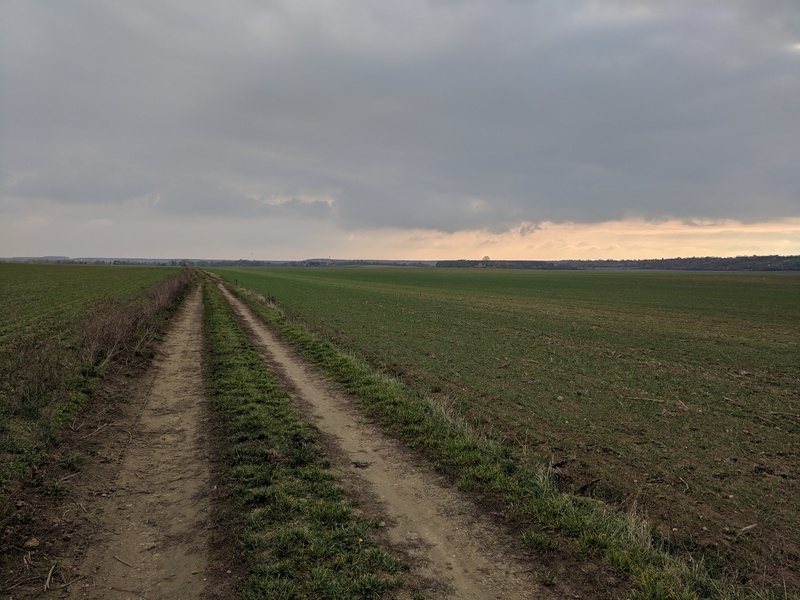 Hours upon hours were spent walking through vast forests with clearways used for hunting sightlines, or on dead straight roads cutting through farmland. 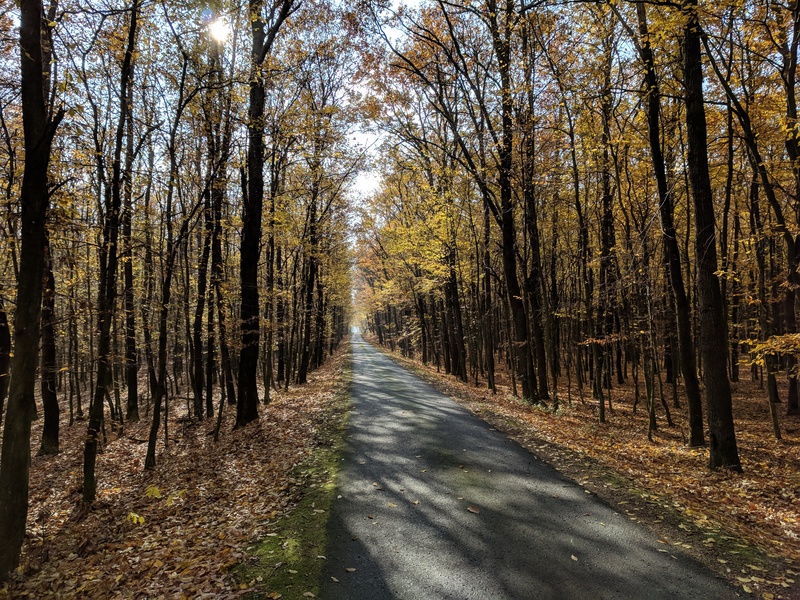 While the Autumn colors were fantastic, the lack of varied terrain was hurting my feet. On a number of occasions, I could not see the end of the road because it was so straight and flat in some areas. This phenomenon poses a serious mental challenge to the solo walker. It is very difficult to keep your mind positively occupied on sections like this, and I found myself getting worn down mentally. During these times I felt truly alone. 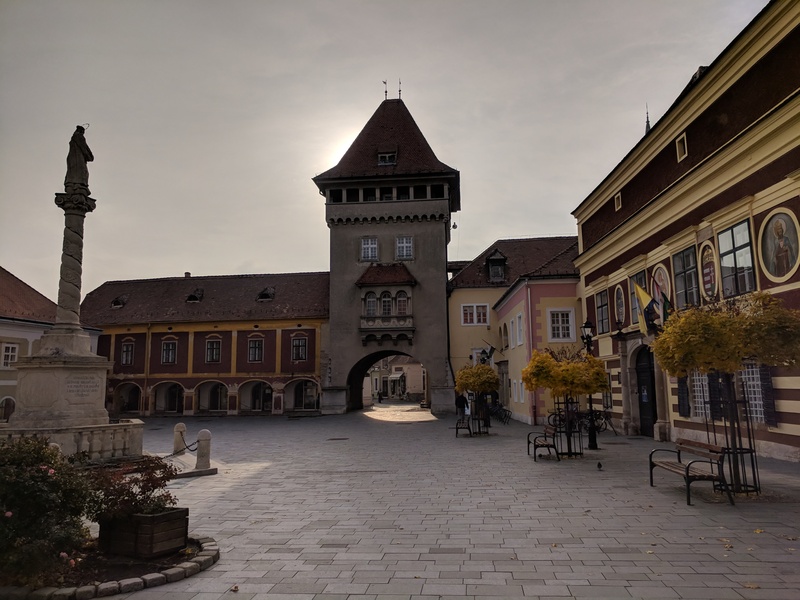 The one exception during the first few days was the town of Sumeg, which was nestled against a hill and had a nice castle overlooking the town. The stretch of busy, shoulder-less road leading into town was dangerous as hell, but I’ll let that slide. 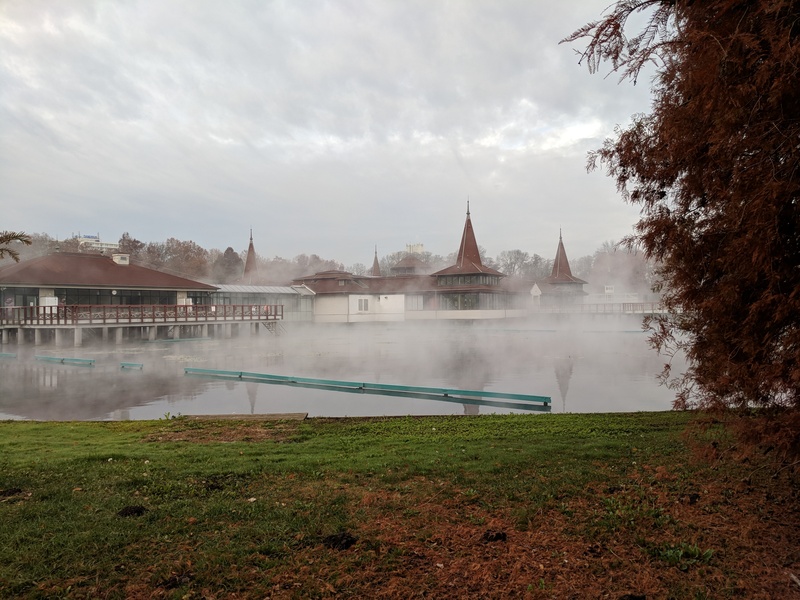 Things started to improve as I reached Heviz and Keszthely on the shores of the massive Lake Balaton. 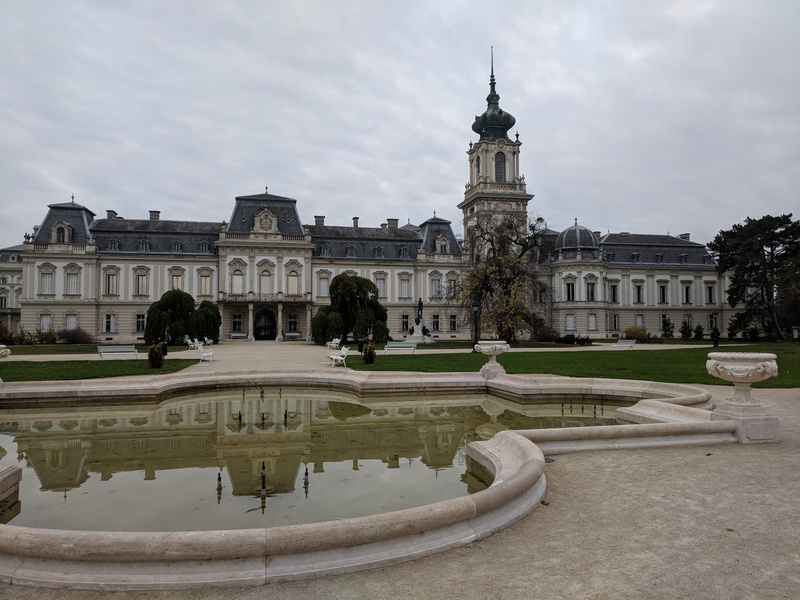 Heviz is known for its thermal spas, while Helikon Castle was the main attraction in Keszthely. 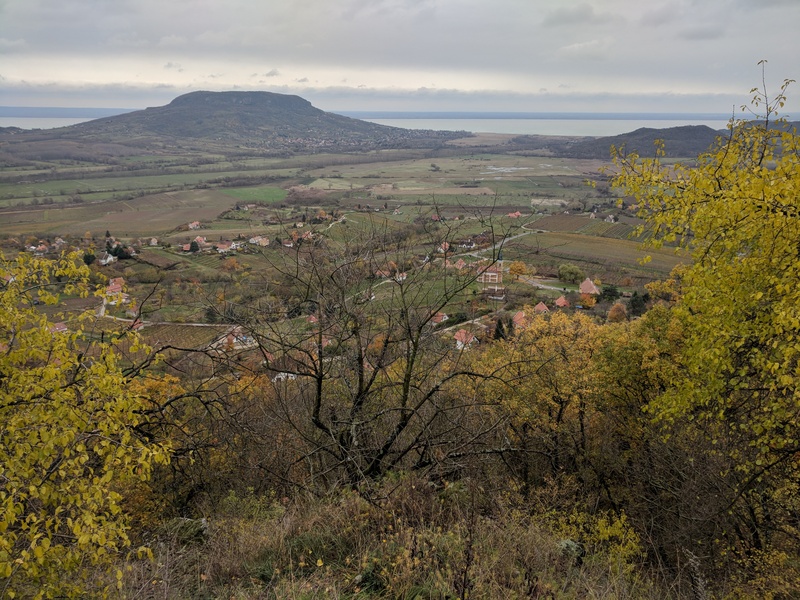 Things dulled a bit as the path temporarily veered away from Lake Balaton, but they improved when the path returned to Lake Balaton in the hilly wine region near the villages of Szigliget and Badacsony. While the villages were quiet due to the off-season, there were some nice views. 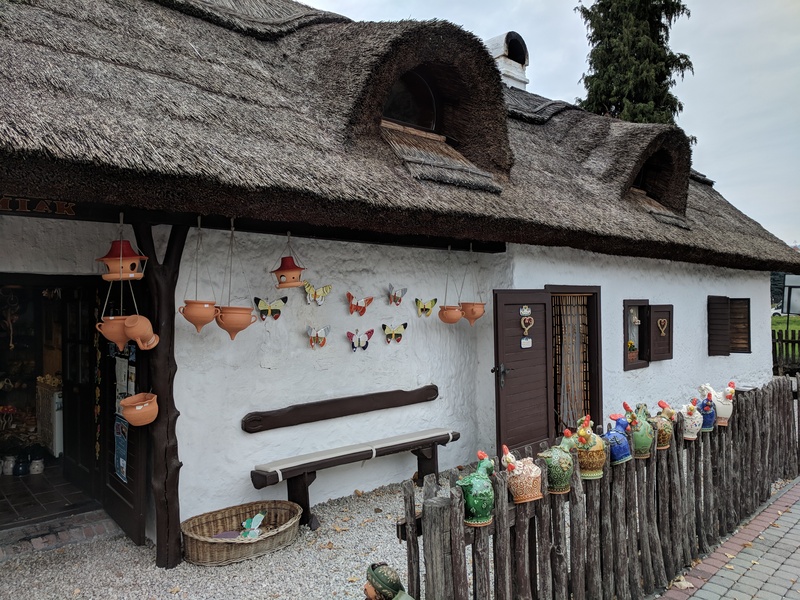 I also enjoyed the straw thatched roof houses that were common here. 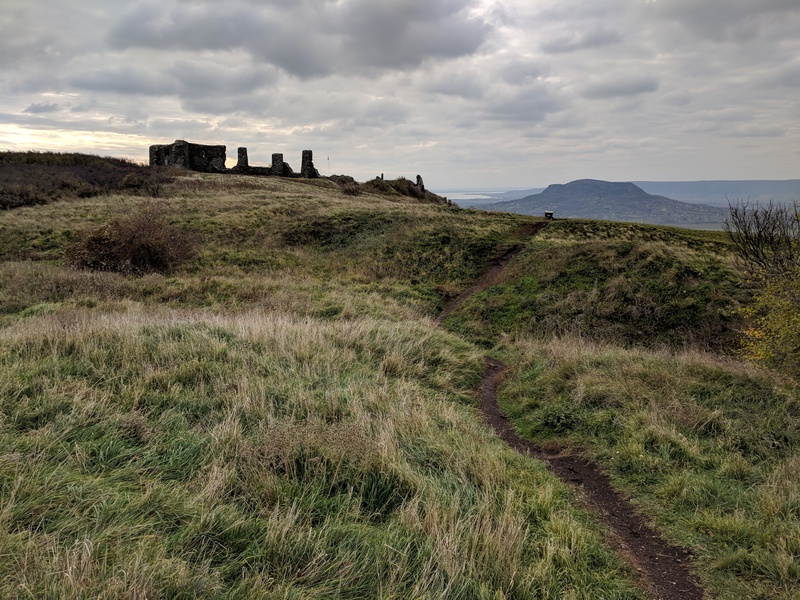 While leaving the Lake Balaton area, the path crested a hill with some castle ruins and outstanding views over Lake Balaton. That was definitely a highlight of this section. The day before my rest day in Nagyvazsony, I rented a great house owned by Lindsay and Emil in the village of Szentbekkalla. Emil is from the area, and his partner Lindsay is American. I wasn’t carrying any food at the time, and the small store in the village was closed until morning. Emil drove me to a nearby village to grab some food, which was a very nice gesture. Things like this keep my faith in people alive, and I want to thank him again. I spent an uneventful rest day in Nagyvazsony. It was a small town, with the major highlight being the castle ruins of Kinizsi. 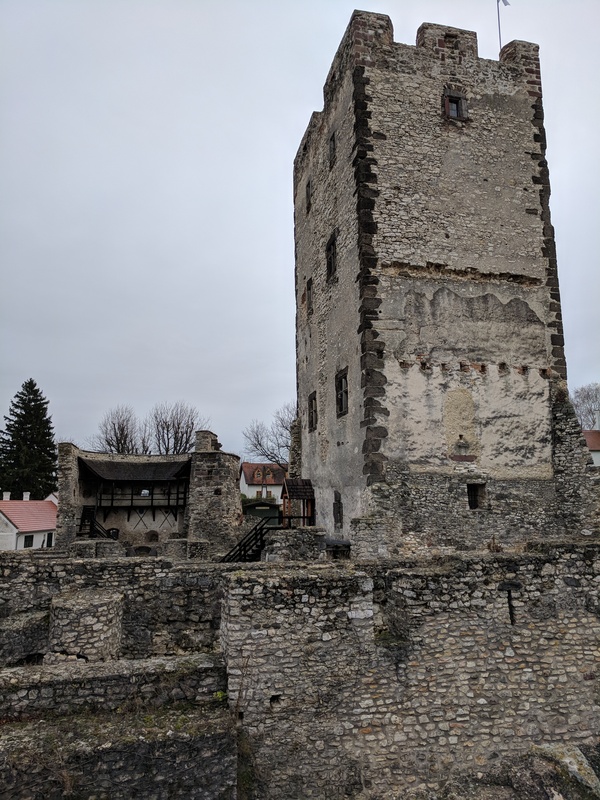 I toured the ruins in the cold drizzle on my day off, and reflected on my first ten days in Hungary. Just found you Heath. This is such an excellent idea and really impressed with what you have put together. Will definitely be making some donations to your charities. Keep it up and I look forward to keeping up to speed with your exploits as you progress through the journey! Thank you so much! Hopefully you enjoy the journey. Following the blog, Heath. Your story is Inspiring! I have taken the liberty of sharing with my readers. Wishing you all the best. Cheers from California, mate! Thanks for following and sharing Lane! Pretty cold and snowy here in Hungary. Hopefully I can keep making progress, but may need to reverse course and head to Cyprus to avoid the teeth of winter. Late start catching up with me. You’re a braver man than I. I’m not very outdoorsy, but I do love nature. Curious about these long treks as I have heard lots about them. I guess you have to start small. Thanks! The trip is full of ups and downs, so I just have to keep moving forward. Good days always come back around! this is such an incredible undertaking and project! i love it, thank you so much for sharing your experiences! press on, walk on, blog on!